Looking for Black Desert Online Boost Services? You came to the right place. We provide Leveling, Silver Farm, Energy and Contribution points farm, Questlines and other BDO Boost services in our store. Check categories above or just browse through all available offers below. If you have any questions – feel free to ask support (bottom right corner chat) or add us on discord/skype. We are professionals - our team have been in MMO boosting for years. We started in World of Warcraft and expanded in other online games. We always track latest news and tendencies to provide best possible boost services in Black Desert Online. Best quality - all orders are completed by our trusted team members. We never outsource to sub-boosters. So we can assure the quality of our work, anonymity and safety of your account details. Great prices - we closely monitor Black Desert boosting market to provide lowest possible prices for our clients. Account safety - we never use any bots/scripts that can jeopardize your account. Only manual hard work. Futhermore we always use VPN of your country for extra account protection. Streaming- we can stream progress of BDO Boost Services on Twitch and Youtube. Just ask for it when buying. Unlike other stores we dont' charge extra $ for streaming, it's free. Punctuality - We complete all orders within specified timeframe. Powerleveling - Leveling you character can take a long time especially if you're aiming at levels above 61. 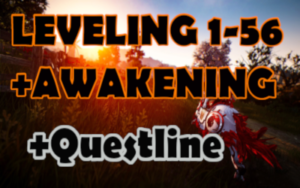 We provide BDO Leveling boost to any desired levels all the way to 63. Hourly Driving - Check out this Black Desert Online boosting services category if you need little bit of everything or want to buy specific amount of hours or even order bdo boosting on daily basis. Beautiful graphics - BDO definitely has one of the best visuals among MMORPGs. Robust character creation tool - immense character customization options. Shadow Arena - brand new Battle Royal mode. See the trailer below. Regular updates - game constantly evolves and we evolve our Black Desert Online Boosting Services with it. Have fun!